TAMPA, FLORIDA— Our team of SEO consultants is researching changes to Google’s search algorithm that appear to have taken place in recent weeks. While these changes adversely affected several of our clients’ appearance in organic search results for a short time, we feel confident that our SEO techniques continue to be viewed by Google as sound, because the lost rankings quickly were regained. 1. We monitor our clients’ websites closely and are cognizant of even minor fluctuations. When we notice adverse changes, we work to fix them quickly. 2. Google changes its algorithm constantly and even the best SEO company isn’t capable of predicting when those changes take place and guarding clients from those changes. 3. These constant changes keep us on our toes and drive us to make sure we constantly employ the best SEO techniques for clients. After Google announced on April 24 that it had updated its search algorithm (Penguin), several of our clients experienced a drop in ranking and traffic, says Saeed Khosravi, Millionairium’s operations manager. It marked the first time in our company’s recent history that a Google algorithm update had negatively affected our clients’ rankings. Millionairium wasn’t the only Internet marketing and SEO firm that noticed changes as a result of the updates. Chris Ratchford, an SEO consultant with Prodentite, a Charlotte-based dental marketing firm, noticed ranking changes among some of his clients. But he isn’t worried. He believes clients with geographical keywords are affected less than non-geotargeted keywords. For example, there are only so many Charlotte dentists, so there is a finite amount of businesses competing for similar keywords. Expand the competition globally to keywords such as “Invisalign” or “cosmetic dentist” and it’s easy to see how competing sites’ rankings could be more drastically affected. These changes drive home- yet again- the importance of developing fresh content. Earlier this year, a website with a URL such as “bostoninvisiblebracesprovider.com” likely would have been punished by Google in terms of organic search results if that site wasn’t a site truly dedicated to providing invisible braces treatment and didn’t have lots of original content related to this topic. In cities where low-quality sites such as this existed and we had clients competing for optimum organic search results for a keyword such as “Boston invisible braces provider,” our clients’ websites tended to rank higher. But this latest change to Google Penguin appears to allow sites with this type of URL to rank high once again. 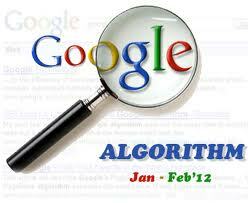 Google also said it has “algorithms in place designed to detect a variety of link schemes, a common spam technique. This change ensures we’re using those signals appropriately in the rest of our ranking,” according to a WebProNews article by Chris Crum. It appears that for the first time, Google has punished white-hat SEO companies by removing some of its anti-spam filters. But we won’t draw any conclusions until we further investigate this new round of updates. This is something we continue to research. Generally, it seems most sites influenced by the change had a short fluctuation and then things amended themselves. For them, Penguin was an “adjustment” of somekind. But this wasn’t true in every single case. Great post, very interesting reading those comments from the company CEO\’s on the algorithm update, it\’s a fine example of how Google keeps everyone on their toes and keeps us all guessing and the only certain fact being that if you keep your content interesting and keep adding fresh content you will get noticed. Everything is very much about quality now, thank you for a great post. thanks you for this post..
not so much, still down. but i figured it was because of the horrible layout i had, which did not affect things before. so i took the site down and am re-posting everything, neater this time. DIVs instead of Tables (SEO formatting) etc. is there anybody have an any idea what to do for being in the first page of google? how can we increase our visitors nubber? We had similar observation for one of our clients on that day. But things got back on track. How about yours? i love google because google is the best. google always devoloping itself. We agree. Its changes certainly keep us on our toes and working to ensure we always use the best SEO techniques. I hired SEO consultants after we got hit by the Penguin update. These consultants are definitely working to help us get back to where we were. They are continually helping us to regain our rank and showing us ways to improve. I guess the update was a blessing in disguise as now we are finally seeing what we can do better SEO-wise. 7-11-12; Every day up until today, i\’ve been getting 3xx-5xx unique searches to one of my sites. today, it\’s noon and i\’m up to a whopping 37 unique visits… that\’s a 90% drop, if this continues, by the end of the day, i will have gotten 20% of my usual traffic… has there been a recent google algorithm tweak that noone knows about? If google changes its Algorithm, i think it should filter the sites used shady link-building techniques, but Lorrie Walker mentioned: “But some of our clients’ sites that had used “shady” link-building techniques in the past are now ranking better,” Husayni explains. What is the true matter ? This is something we continue to research. Overall, it appears most sites affected by the change had a brief fluctuation and then things corrected themselves. For them, Penguin was an \”adjustment\” of sorts. But this wasn\’t true in every single case.